If price is the bottom line, then accumulate all your research and contact all those who are pitching low price to you. I’m probably not the cheapest. But if it’s important to you to work with an experienced smoking cessation hypnotist who will provide you with a program to quit smoking and with resources to stay a non-smoker, then call me at 508.269.0109, or complete the web form below for a FREE phone Consultation. Why I’m different from other hypnotists…. 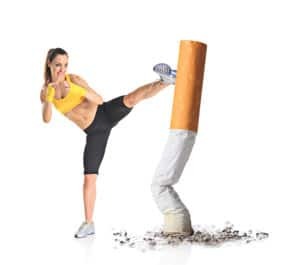 I smoked cigarettes for decades, and used hypnosis to end my cigarette habit and enjoy healthy living, and being in control of my life. If I work with you to help you quit you should know I’ve experienced every emotion and frustration you have and overcome it using hypnosis. This is an advantage to you not available from most other hypnotists who don’t know what being a smoker feels like, or who’ve never experienced the psychological addiction of smoking, or concern over gaining weight… but I have. me tell you the craving were just gone. work at quarter of 5 there was nothing! until I seen an empty pack in my car. Let’s get going on arranging your free phone consultation because I can’t wait to hear from you.